Obituary for Marilyn (Vacheresse) Gilchrist | W. J. Dooley Funeral Service Ltd. 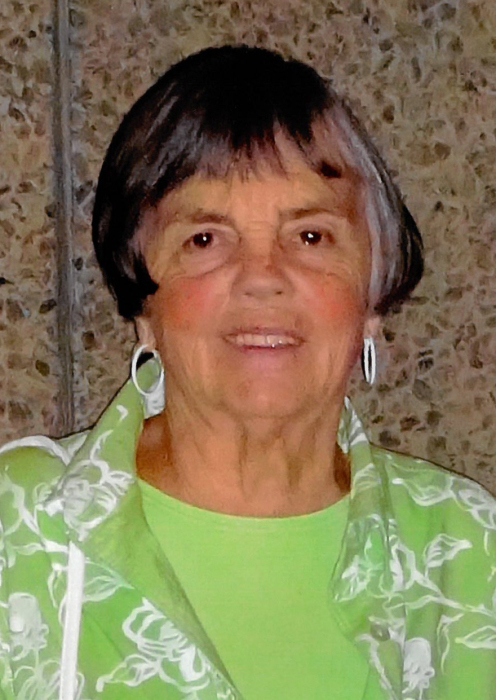 It is with great sadness that we announce the passing of Marilyn Gilchrist age 82, beloved wife, mother, grandmother, sister and aunt, on Saturday March 23, 2019 at the Cape Breton Regional Hospital, Sydney. Born in New Glasgow, February 22, 1937, Marilyn was the daughter of the late Roland and Isabel (Fleming) Vacheresse. She graduated from Stellarton High School in 1954 and from Provincial Normal College in 1956. She started her teaching career in Stellarton in 1955, she later married Alex in 1956 and they moved to North Sydney, where they raised their family and had long teaching careers. Marilyn was a dedicated member of St. Matthew Wesley United Church, long time member of UCW and served on various committees. She volunteered at the North Sydney Food Bank and supported Alex in many volunteer positions throughout the years. Marilyn spent many summers boating on the Bras d’Or Lakes with Alex and they came ashore in 1995 to their cabin in Ross Ferry where they looked forward to visits with family and friends. Marilyn is survived by her husband of 62 years, Alex Gilchrist by her children Scott Gilchrist and Cathy (Stephen) McGee, her grandchildren Sandy McGee, Matthew Gilchrist, Carly Gilchrist and Stephanie McGee, her sisters Carol Wallace, MA, USA, Eileen (Jim) Hood, Stellarton, by many nieces, nephews and cousins, also longtime friend Kaye Rhymes, close cousin Bev (Fred) Miles and many other close friends. Besides her parents Marilyn was predeceased by her sister Lois and daughter-in-law Judy (MacDonald) Gilchrist. Visitation for Marilyn will be held 2-4 and 7-9 p.m. Wednesday in the W. J. Dooley Funeral Home, 107 Pleasant Street, North Sydney. A funeral service will be held 11 a.m. Thursday at St. Matthew Wesley United Church with Rev. Stephen Mills officiating. Burial will take place at Lakeside Cemetery at a later date. Memorial donations may be made to St. Matthew Wesley United Church, the North Sydney Food Bank or to a charity of one’s choice. Online condolences may be sent to the family at www.wjdooley.com .